I’ve spent the past four weeks completely overhauling our master bedroom, and I’m extremely excited about how it’s turning out. The navy walls are gorgeous, and all the white and textured accessories are really starting to come together. 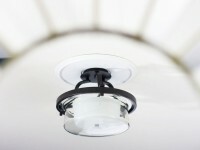 There’s just one week to go in the One Room Challenge, and I cannot wait to show you the finished room. Today is supposed to be a weekly progress report, but I’ll admit I have done absolutely nothing in the room since I updated you a week ago. Oops! After a busy weekend and a work trip this week, I ran out of time to accomplish any decorating. In fact, the only thing I managed to do for the room was stop by Target to pick up two more curtain panels. 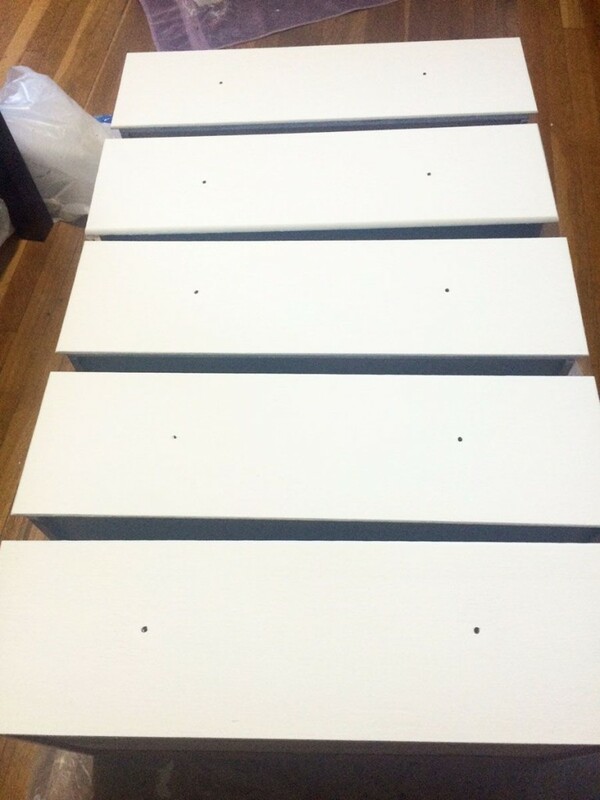 I’m definitely going to be scrambling this weekend, because I still want to build myself an awesome looking headboard. I’m not much of a carpenter, but I do have a vision. We’ll see how that goes and if I can pull it off by next week! Since I don’t have a room update for you today, I thought I’d show off the before and after of my painted dresser that you saw in last week’s update. Spoiler alert: it was so much easier than I expected! 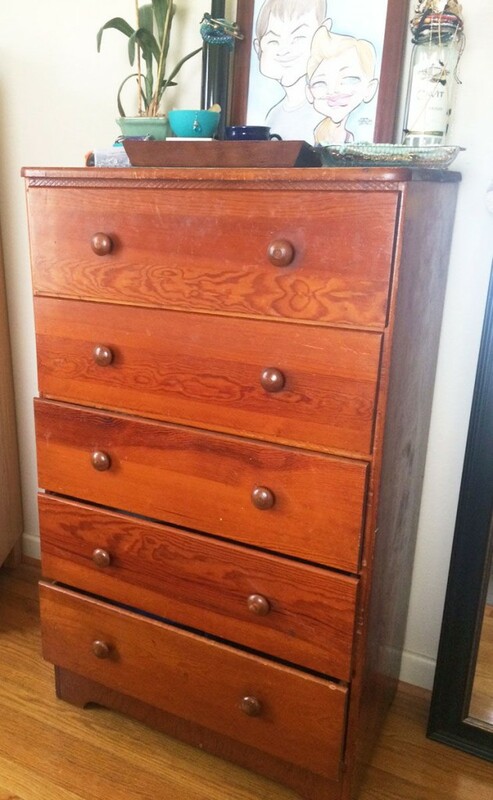 This dresser has been passed around between family members for years, and it ended up with me in my apartment a few years ago. I had intended to paint it right away, but time passed and a couple years later it had moved to our house still unpainted. 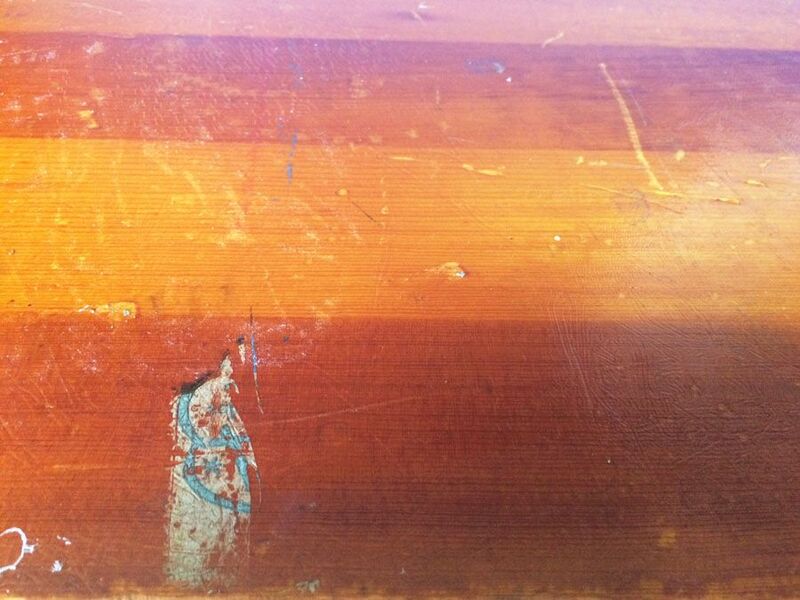 The stain finish on the dresser was a weird color, and it wasn’t very well done. There were some drip marks and also a few spots on the sides that weren’t covered very well. I knew that painting this dresser was definitely something I would tackle in our bedroom makeover and, now that it’s finished, I’m kicking myself for not painting it much earlier! 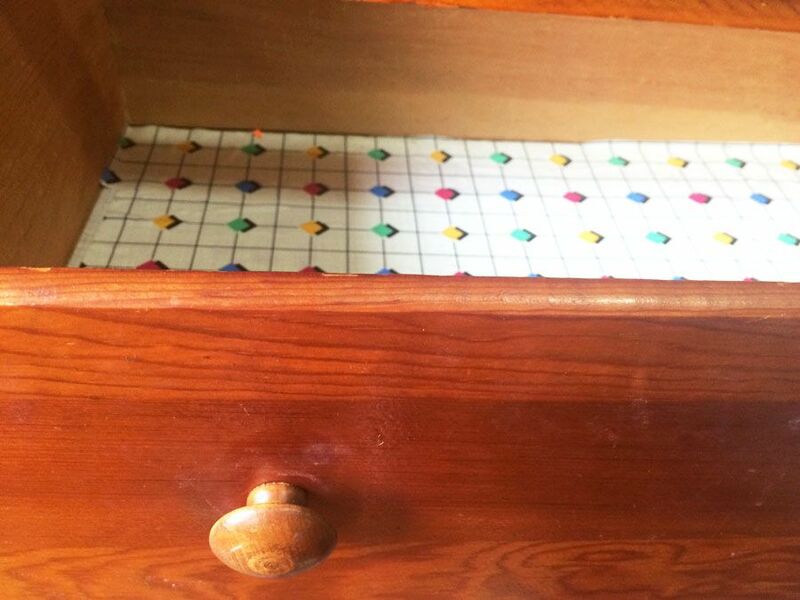 The inside of the drawers were lined with a kiddish contact paper. It wasn’t even cut well, just sort of slapped on in a poor attempt to cover up the pink floral patterned paper underneath. 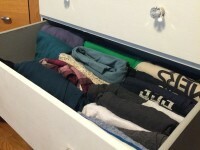 I removed all of the drawers and pulled out all the paper from their bottoms. Thankfully it pulled up really easily! I also removed all of the wooden knobs from the drawers. I wiped down the entire dresser with a degreaser. It cleaned off all the dust and grime that had built up, leaving it clean and ready for paint. This dresser was quite beat up, so I used my electric sander to buff the top a bit and remove some of the light scratches. I also filled in a couple of the deeper nicks with a bit of wood filler. I’ve always shied away from furniture painting. It seemed like such an involved process to strip off the stain and wait for coat after coat after coat of paint to dry. I decided to give chalk paint a try for the first time because I had read that it could be applied directly over paint or stain–no sanding or stripping required. That sounded like a time saver to me! So I headed to the hardware store and picked up this chalk paint in Chelsea Square. I managed to do two coats on this dresser using just one 8 oz. jar of paint! It is quite thick and covers extremely well. I painted all of the dresser base, as well as the front of the drawers. I used a simple 2 inch angled brush to paint the entire thing. I was pleasantly surprised by how quickly this chalk paint dried! One coat looked pretty great, but I decided to do one more for extra coverage. I didn’t have enough chalk paint to cover the insides of the drawers, so I opted to use up some leftover light grey paint from our dining room walls. 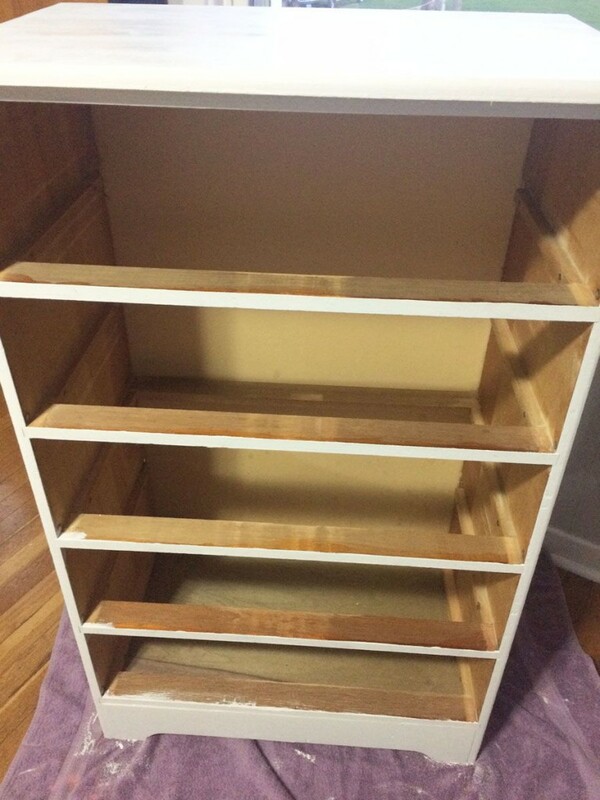 This paint didn’t cover nearly as well, and took two generous coats to cover the insides of the drawers and the sides. Since the dresser itself is simple white with a lighter grey inside the drawers, I wanted a pop of fun pattern to line the drawer bottoms. I had a roll of black and white wrapping paper on hand and cut pieces to lay in my drawers, using a few small dots of sticky tack to adhere the paper. That way it’s easy to remove or change in the future. The final step of this painted dresser was to cover the entire thing with a coat of this light antique wax. This light wax dries clear and gives the furniture a protective finish since the chalk paint is porous and easy to scratch without something on top of it. I applied the wax with a one inch angled brush, following the instructions on the wax. Once it was brushed on, I used an old cloth to buff it into the wood. This waxing step went a lot faster than I expected, and gave the dresser a polished finish. My final step was to replace the drawer knobs. 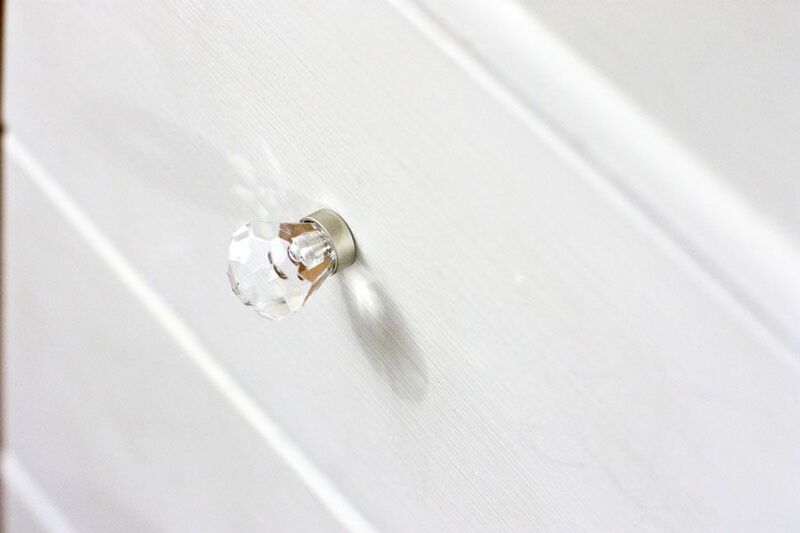 D. Lawless Hardware provided these gorgeous diamond acrylic knobs. They came with the hardware, which made it super simple to screw them on using the existing holes drilled in the drawers. Don’t they look stunning? 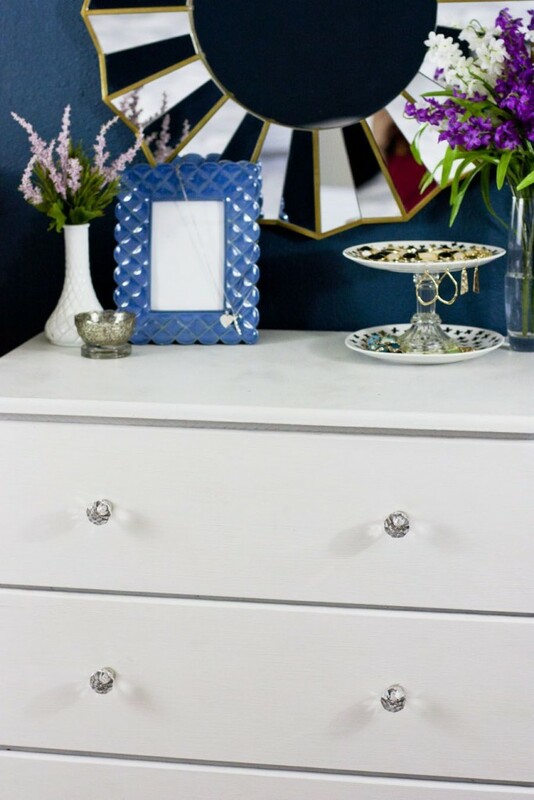 The knobs added the perfect touch of glam to this dresser, and instantly gave it a feminine look. It feels like such a treat to pull these shiny knobs when I get dressed every morning! 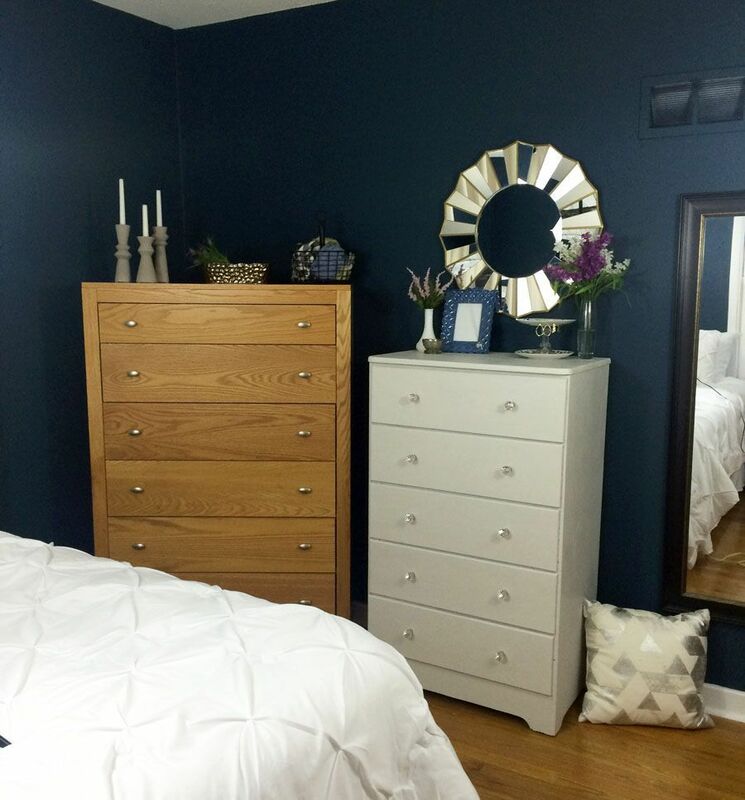 When I moved the dresser back into our bedroom and saw it against the newly painted navy walls, I was beside myself. It looked amazing! I was nervous about the deep navy walls, and also a little anxious I was going overboard with white. But I’m so happy with how this painted dresser project turned out. It looks fabulous in our bedroom. What I thought was going to be extremely time intensive only took me a few hours over two weeknights to complete. Another benefit of chalk paint is that it doesn’t have much of an odor, so I painted the whole thing in our dining room using a sheet of plastic to protect the floor. The paint covered everything so well, and I’m still amazed that I didn’t need to strip off the stain underneath. The chalk paint adhered right to it, which saved so much time. I’ll definitely be doing a lot more furniture projects in my future! 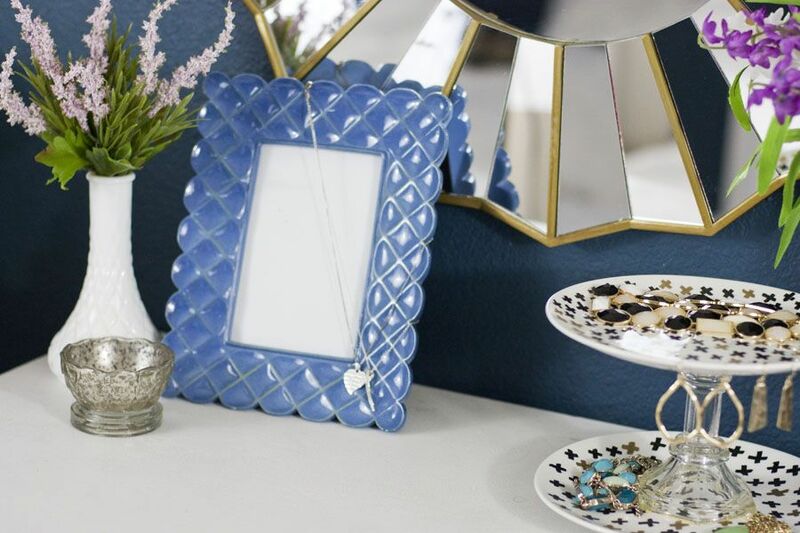 Of course, no decorating project is complete without some pretty styling. I have been having fun arranging some decorative items on top of my dresser. 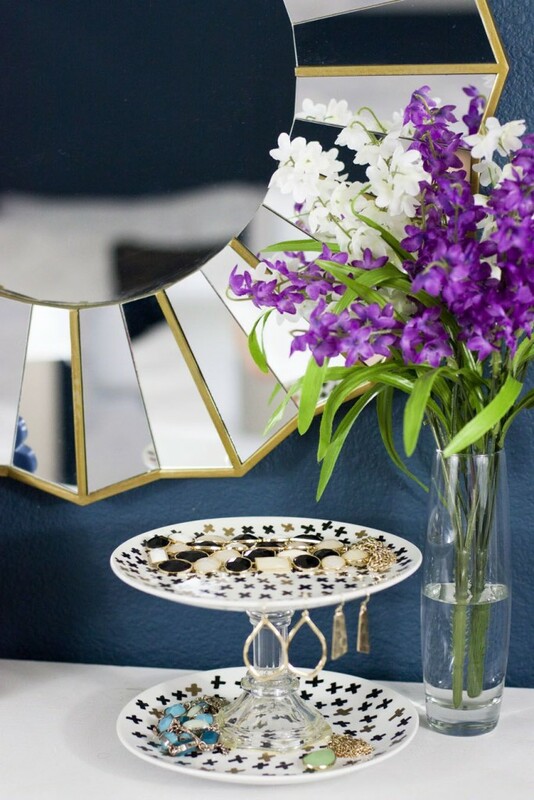 That jewelry tray is a DIY project I did recently (tutorial here). And there you have it! 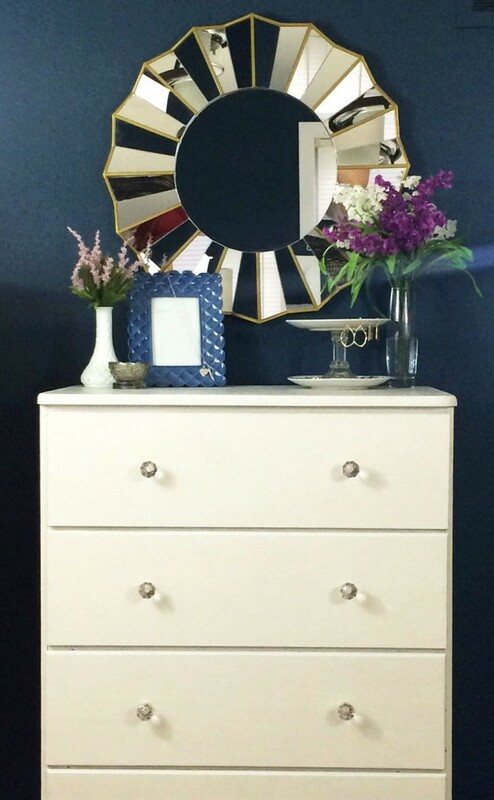 What do you think of my feminine white painted dresser? It’s a huge improvement from that pine stain, don’t you think? 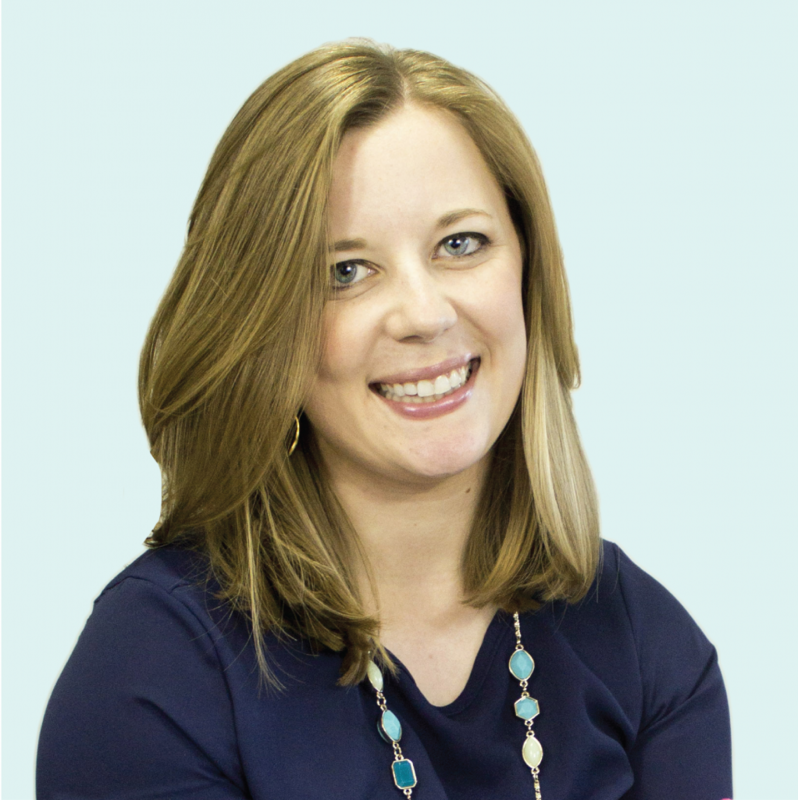 I’ll be back next week with the FINAL bedroom makeover reveal (eek!). 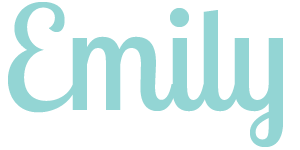 In the meantime, be sure to check out the progress my fellow bloggers have made in their One Room Challenge rooms this week. I have heard so much about chalk paint before, but have never dove in to use it yet. 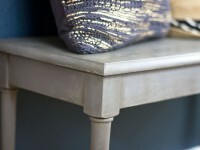 I’m so excited to hear from you how easy it is to paint furniture with. 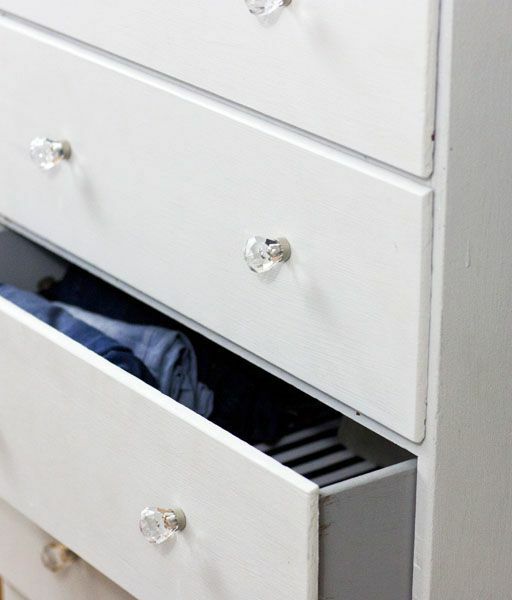 I actually really enjoy the contrasting gray paint on the sides of the drawers – what a fun little surprise. And I never would’ve thought of using super cute wrapping paper to line the drawers! You make me want to redo all of my furniture right NOW! Looks awesome!!!!! 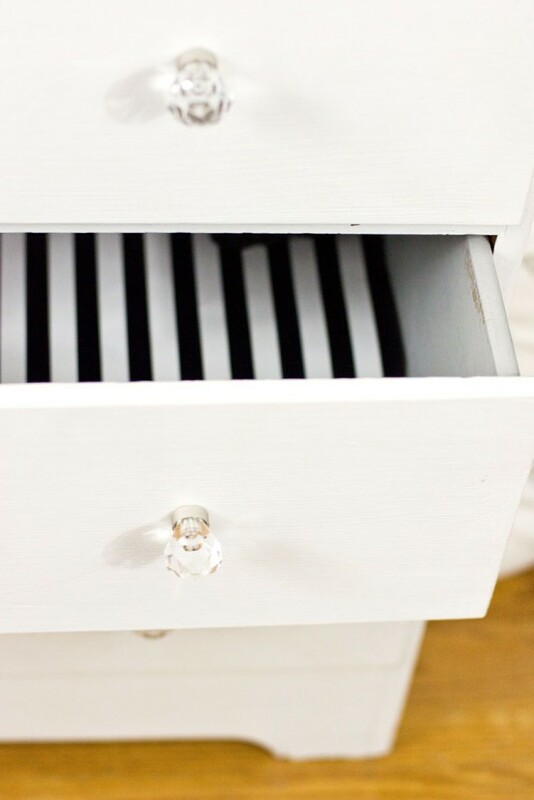 What a great makeover for your dresser. It turned out fabulous! Isn’t it amazing what a little paint can do? I just love those knobs you chose. They go perfectly with the new look!